If you’re looking around to choose the best bank for your savings, or are thinking about switching banks to get a better interest rate, you should consider online savings accounts. They offer significant advantages to consumers in terms of higher rates and access when compared to the “big banks” like Wells Fargo, Bank of America, and Chase. There’s no question about it: on average, online banks offer higher interest rates on savings accounts than physical, bricks-and-mortar banks do. In fact, interest rates on savings were 7 times higher than at walk-in banks. They were even 4 times higher than the savings account rates in the average credit union — and credit unions are known to be very consumer-friendly in rates overall. The reason is simple: online banks have lowered overhead costs because they aren’t paying for the bricks and the mortar. The ease and convenience of online banking also reduces their expenses. They can, and do, pass the savings on to you. While bricks-and-mortar banks may offer online services, they also need plenty of money for overhead costs at their branches. They simply have more costs to cover, and the trade-off may well be lower interest rates for you. Higher interest rates, of course, give your money a better chance to earn money for you. How much better? Well, a difference of 1% makes a huge impact over time. If you have $1,000, 2% annual interest earns you $20 on it. A 3% annual interest rate earns you $30. So in 5 years, you’d have accrued $150 in interest with the higher rate, versus $100 for the lower rate. That’s 50% higher — and it really adds up over time. The beauty of online banking is that you can access your account anytime. If you like to do your banking at 5 a.m., no problem. If you like to do it at 11 p.m., no problem. If you put your savings account in a brick-and-mortar bank, it may only be accessible when the bank is open. And, there’s a reason early closings are referred to as “banker’s hours.” Some banks close at 3 p.m. — not great if you want to hit the bank after work at 5 p.m. If you are on a savings plan — socking away 5% of your salary, for example, the ease of access could make all the difference between saving with no problems or blowing the money on a vacation, because after all, it’s sitting right there in your checking account. If you’re trying to be disciplined with saving money, few things are as effective as putting it in an account where it can’t be touched and isn’t available for non-essential spending. The accessibility of online banking can really help with that. One of the fastest-growing trends in banking is the rise of banking via smartphone, which is also called mobile banking. Millennials preference for mobile banking has hit all-time highs. Online banking will ensure that you have mobile access as well. There are two things about security you should know. 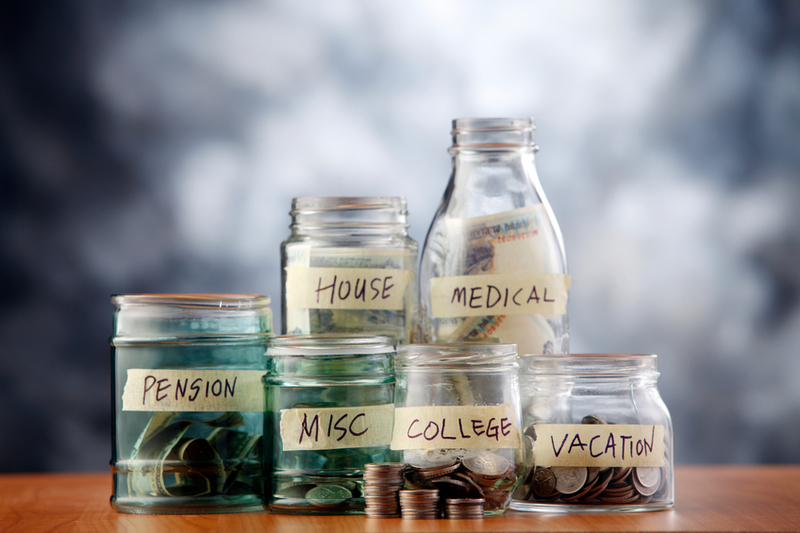 All savings accounts in the U.S. are insured for up to $250,000 with the Federal Deposit Insurance Corporation (FDIC). That’s one of the reasons savings accounts are safer financial instruments than stocks or bonds. You can’t lose money if your bank burns down or goes bankrupt. You’re covered. Online banks are covered as well as physical ones. That needs to be a concern for everyone with a bank account anywhere. Due to the popularity of online banking (and the fact that they move deposits online), bricks-and-mortar banks are just as vulnerable to any hacking as online banks are. Online banks are as secure as they can be. The key to this kind of security is: choose an impossible-to-crack password, change it frequently, and monitor your accounts. If you’re ready to make the move to an online savings account, compare rates here at Banks.org.